Why a Sandstone Retaining Wall? A sandstone retaining wall is a stunning retaining wall to have in your property. They looks very natural, classy and stylish, and seem to fit in very well with the Newcastle way of life. They have the ability to transform an average looking garden into something that will stand out and give you that wow factor in your garden. They are very catchy on the eye, and will last for a very long time. These type of retaining walls are a feature within itself, they simply look great. And if you’re looking to build a retaining wall for your Newcastle property, there a good option. 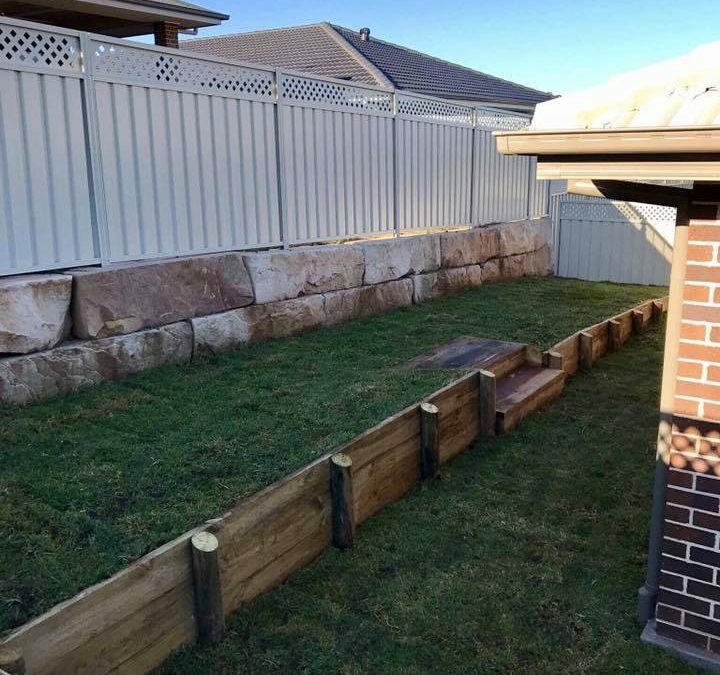 As one of the leading Newcastle landscapers, retaining walls are our thing, and in the right setting a sandstone retaining walls looks clean and fresh, and can add real value to your property. Depending on the size and style of the retaining wall you want, we can meet your requirements and expectations. Sandstone retaining walls are not as expensive as some might think, compared to other types of retaining walls. Like all walls, they all have their positives and it comes down to your budget and the style you want. Depending on what you want, there’s a couple of options. A clean cut block sandstone wall is probably the most popular, but you also have other options like a rock retaining wall, or a sandstone block retaining wall. All have their place. Sandstone rock retaining walls give you that extra difference and unique appeal. Having all the rocks a different shape looks great on the eye. But can be a little more expensive because of the labour aspect. They also offer a clean cut style of retaining wall. But it’s well worth it, In my opinion they look great. To some it can be down to budget, but for others it’s not about the cost as you’re looking for a particular look and feel to your property. From my opinion and experience that’s what I’d expect to be the case. But you do have other options. You can choose to go with what is called a B grade sandstone block. They have less cuts than what’s classified as an A grade block. And yes they are a cheaper option. To be honest you probably wouldn’t even notice. If your after a high quality retaining wall and a certain type, we can also cover that. Overall there’s not going to be much difference, and if budget is a concern we can certainly discuss your options. Sandstone retaining walls are a favourite, especially here in the Newcastle area where you can get a natural setting. Even a small sandstone retaining wall can look great with the right style of shrubs and trees. The Supply And Options Of Your Sandstone Retaining Wall. One of the best things about living in this area, is the fact we have access to local sandstone suppliers, allowing us to pass the saving onto you. When it comes to the size and shapes, they come in variety of natural shades of colours. This gives us the best opportunity to match your overall home feel and the style you want. This is something we can chat if you need to about when your ready to move forward with building your new sandstone retaining wall. The natural beauty of a sandstone wall with the different colours and the different textures that the sandstone offers, making it often very unique to your property. The Benefits Of Using Us To Build Your Sandstone Retaining Wall. This is what we do for a living, we know our suppliers and over the years we have built solid business relationships. And this also means we can get a better trade price. Depending on the size of your retaining wall, you have a few options. You can go for a small block, right up to block stones that can weight up to 300-400 kg. Although, this is extreme and not the average wall, these bad boy’s stand out and are something we cannot do without the right equipment. And at that weight, once the’re in place their not likely to move in a hurry. Or you can go with a rock retaining walls. Rock retaining walls are great, these walls allow you to add different structure and styles to the wall, or you maybe after a clean cut rock retaining wall. Again you have many options. These large walls are very self supportive. And will drain quite well. They don’t take the longest out of all the retaining walls to build, they are structurally sound and are pretty much as strong as a house, but they do need more equipment to get the job done. The fact we have experience, also allows us to get the job done in the quick and in a safe manner. But as I said before not all of us will be wanting a wall of this size. The Beauty Of A Sandstone Retaining Wall. We get great feedback from our sandstone retaining walls. And as i said before they are one of my favourites. They just look great. And remember we can build sandstone retaining walls that require angles. 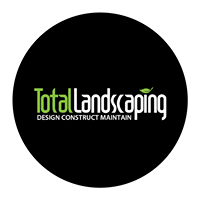 We can shape the walls to meet your landscaping needs. For anyone who has a sloping block at the front or the back of your house and you’re looking for a great option to fill out and level land for better use, these are a great option to look at. Remember we are landscapers, so any other landscaping work that needs to be done we can cover that as well. If your looking to build a sandstone retaining wall Newcastle or beyond, we are here to help. please get in touch and we’ll be happy to help you create a beautiful stunning sandstone retaining wall for your landscaped area.